More than 13,000 teachers across South Australia could walk off the job on Thursday after voting in favour of industrial action. 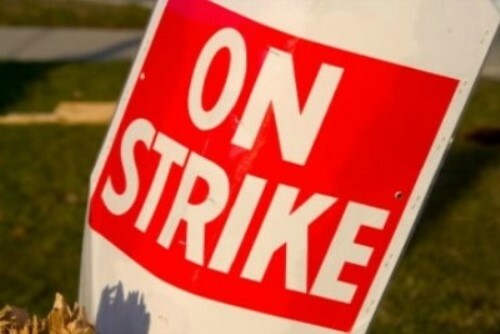 The Australian Education Union’s (AEU) South Australia branch said the strike will see public school teachers stop work from the start of the day until 12.15pm. The call to stop work follows an impasse in bargaining negotiations between the AEU and the South Australian Government. The union is seeking greater resources for the state’s public school teachers amid growing class sizes and funding issues. The AEU is calling for an improved learning environment for all South Australian students including more funding and support for every student, better classroom arrangements to meet the needs of students, letting leaders focus on leading and attracting and retaining educators to country schools and preschools. "The section of the current Enterprise Agreement which is under threat is ironically called ‘The Commitment’. This outlines a number of funding agreements and conditions which schools and preschools rely upon," Spreadbury said in a statement. If an agreement is not reached, Spreadbury said the union will consider next steps, which may include additional, longer strikes. While some government schools and preschools will remain open and operating as normal, the strike will result in others closing until 12:15pm because insufficient staff are available to ensure that adequate standards of safety and welfare can be provided. Some schools and preschools will be able to open with reduced staffing by offering a modified learning program. In some cases, an Out of School Hours Care (OSHC) service will be available to families that book a place. Principals and preschool directors will be writing to families today to let them know what will happen at their child’s school or preschool. The South Australian Education Department said that “every effort will be made to keep schools and preschools open wherever possible”. The South Australian Primary and Secondary Principals Associations have been contacted for comment.